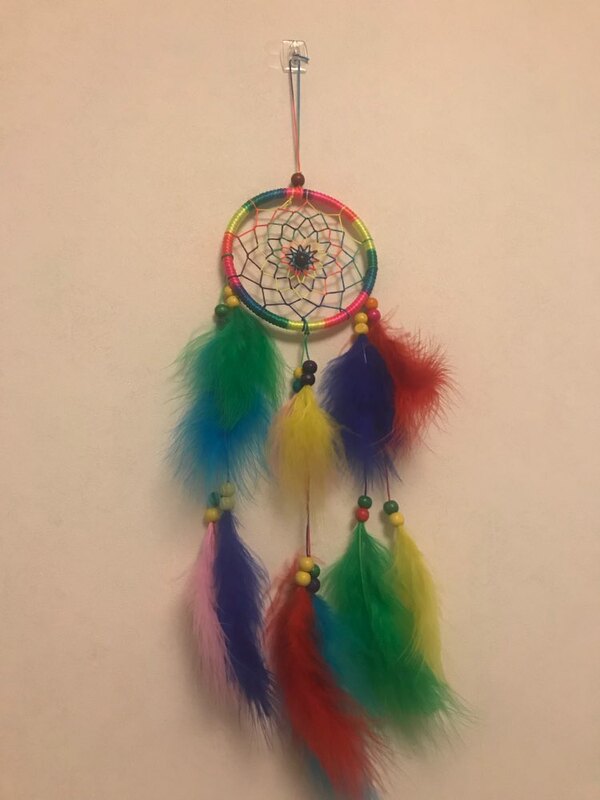 Beautiful dreams are made of these – this pretty colourful vintage dreamcatcher will sieve your nightmares away instantly, and leave you with only the good dreams! 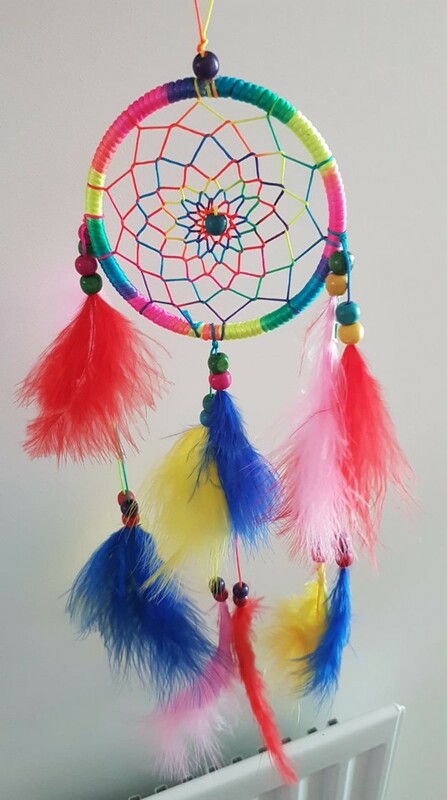 Great as a decoration for homes, offices, cafes, restaurants, eateries, clinics or pubs, this colourful vintage dreamcatcher is also good as a gift to bless your family and friends. 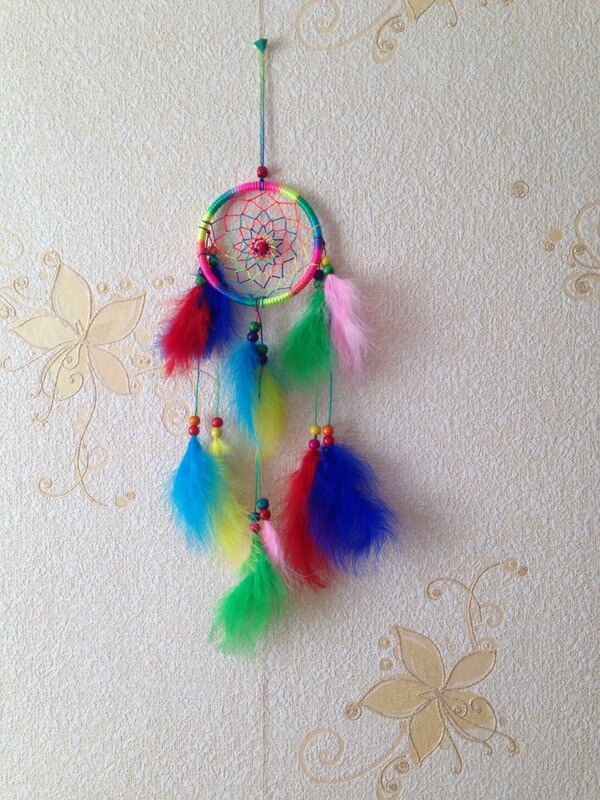 Very good quality, just like in the picture. 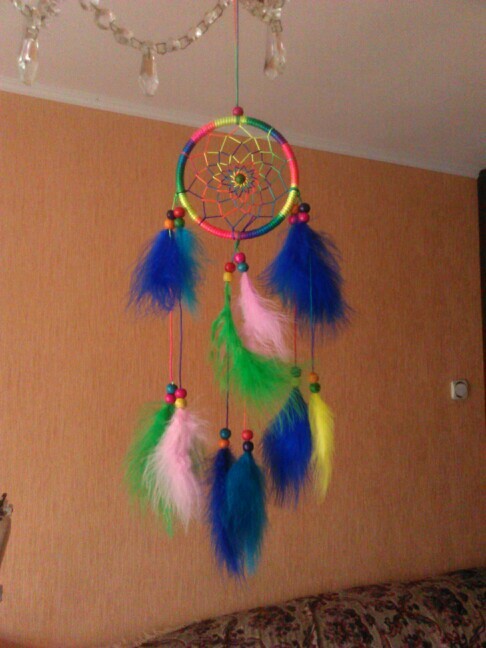 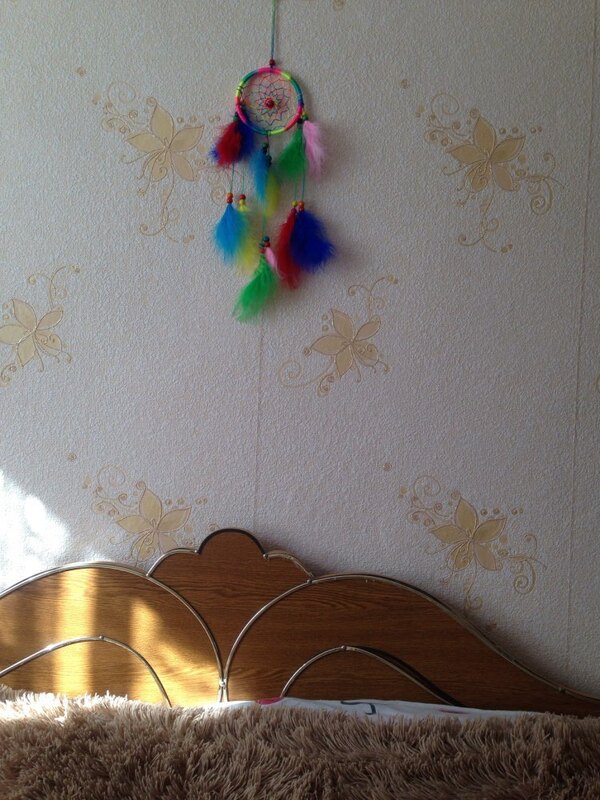 all because the photo, dream catcher bright beautiful. 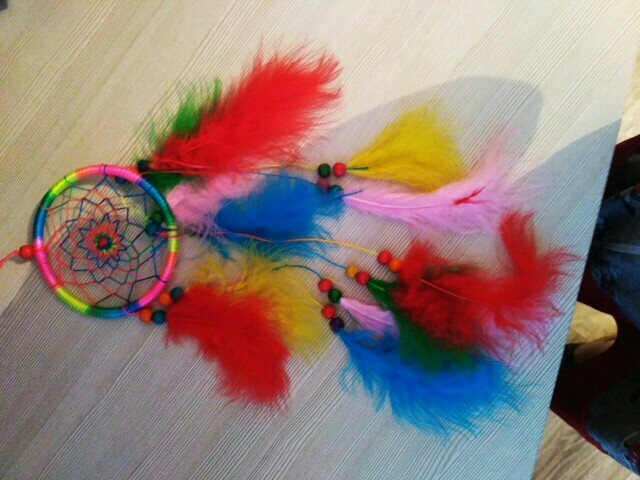 item shipped in time, .. beautiful colorful feathers!